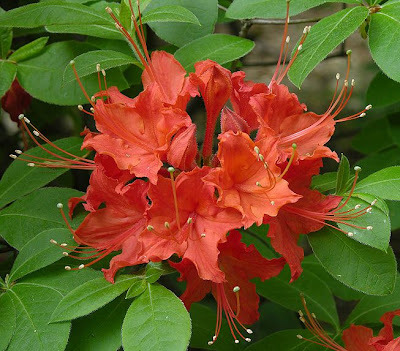 Good and well-wishing, flowers answer abundantly all the creative fantasies of Nature. All at once Nature gives much to us and we have the joy of abundance. 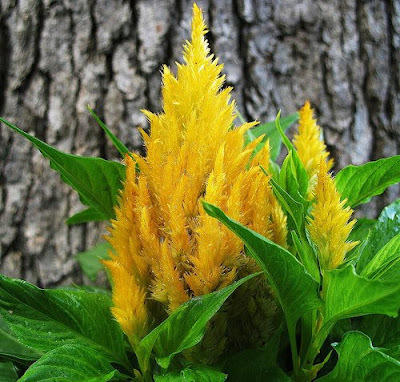 Large golden yellow somewhat fleshy funnel- shaped flower with a spreading limb divided into six pointed lobes, a throat covered with fine hairs and the back of the flower prominently ribbed with green; borne singly. A vigorous annual vine. Has much to say and says it fully. Long erect branching spikes of tiny golden yellow loosely arranged everlasting flowers that form soft feathery plumes. A showy floriferous garden annual. Good feelings that gives themselves unstintingly. 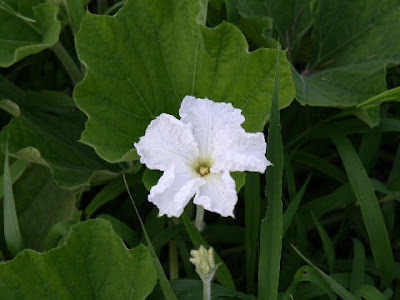 Medium-sized white funnelform flower with five tightly overlapping slightly crinkled petals and a pale green tomentose calyx; borne singly. 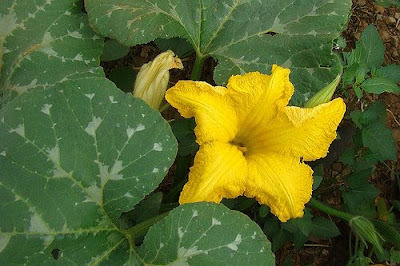 A strong annual vine with pubescent leaves and bearing smooth hard-shelled gourds in an unusual variety of shapes and sizes. Nature always shows us what true abundance is-one is overwhelmed! 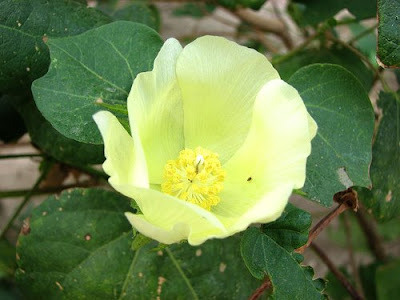 Medium-sized yellow or cream white somewhat cup-shaped flower with five sheer overlapping petals, occasionally with a purple red spot at the base; set in conspicuous green fringed bracts on short stems in the leaf axils. An annual or perennial herb or shrub.